There’s something about performing in front of an audience that can either make or break a singer, mostly because there are no do-overs; a seasoned performer knows how to gloss over a mistake and keep going, but sometimes there are shows that just will not go on. Here are 8 famous singers who had epic meltdowns in front of a live audience. 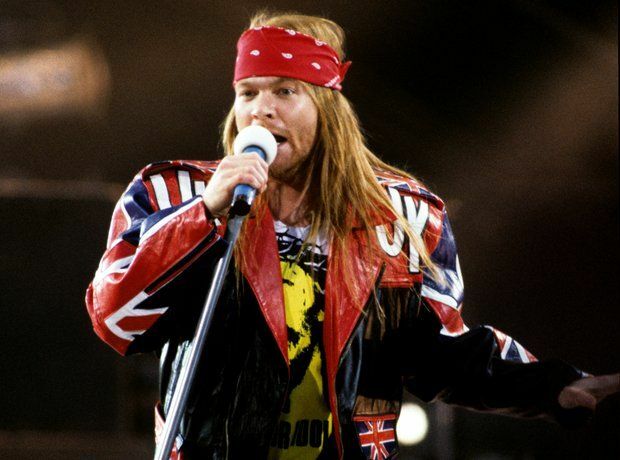 Axl Rose is somewhat of a meltdown master; there’s even a compilation video of all his stage disasters. But his most infamous incident onstage was during a 1991 concert at the Riverport arena in St. Louis. Halfway through “Rocket Queen,” Rose spied a fan in the front row taking pictures (this was back when that was considered not cool) and he stopped the song to demand security wrestle the offending camera away. When security didn’t move fast enough, Rose jumped off the stage to deal with the miscreant himself. Several thrown punches later (he hit both security and audience members) he was dragged back onstage, but he threw the mic down and stormed away. Angry concertgoers started to riot, dozens of fans were injured, and Guns N’ Roses was banned from playing in St. Louis for nearly two decades. While she’s no stranger to sudden bouts of freaking out, nothing tops her performance at Club Paradiso in Amsterdam back in 1995, when audience members were heckling her with pictures of her former husband and Nirvana lead singer Kurt Cobain, who had killed himself the previous year and whose fans often blame her for his death. Love justifiably tore into the hecklers, calling one a “fat goth” and telling them to go see Nine Inch Nails instead.